Modern residence in the town of Poznan. western Poland Ground floor: hall, dining room, living room, study room, kitchen, bathroom, boiler room, stoprage, pool with jacuzzi, spauna, solarium dressing room, corridor. 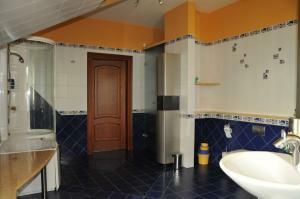 Floor: hall, three bedrooms with bathrooms and dressing rooms. Finishes: walls - plaster from the old Venetian stucco, flooring - parquet oak - palace patterns, terracotta, marble, stairs - granite, type of windows - PVC with external roller shutters, doors - wood, window sills - marble. 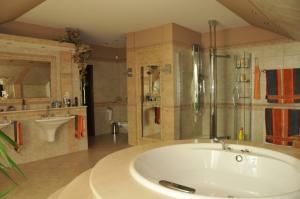 Underfloor heating on groupndfloor and in all bathrooms. 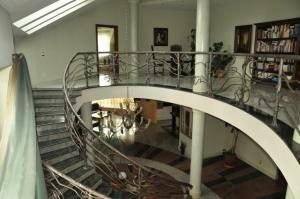 Air-conditioned residence with its own monitoring center 10 cameras. Facilities offered in price: Italian and Spanish design furniture Main building description: Beautiful property situated on the edge of the woods, about 2 kilometers from the highway Warsaw - Berlin. On a large 6,269 m2 plot are two buildings: villa with swimming pool and residential building with part of the garage on the groupnd floor and luxury 130sqm open plan apartment above garages. The whole residence with garden is surrounded by a wall giving a sense of privacy and security. The whole house was designed with visible attention to detail and quality finish. We used only the highest quality materials. 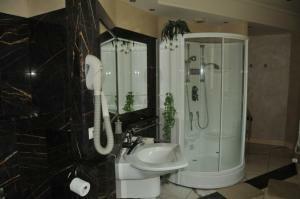 Floors in part of rooms are made of granite and marble of the highest class. The room parquet floors were laid with precious wood. 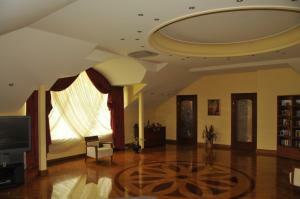 Walls and ceilings are covered with decorative plaster with Venetian stucco. Particularly noteworthy are very practical solutions used in building. System of intelligent building management includes: network alarm, television, air conditioning, lighting, central vacuum, central heating system gas and oil Residence has automatically controlled heated swimming pool, and jacuzzi for 8 persons. 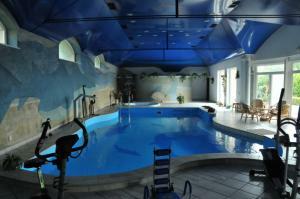 Swimming pool 12m x 5 m, a depth of 1.35 m has additional facilities such as a solarium, a cloakroom, spauna, bar. 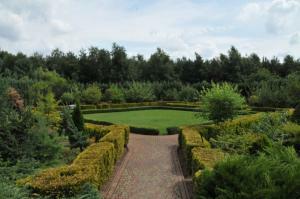 The swimming pool has separate entrance leading straight to a beautiful garden, designed to relax owners. Second building includes: a garage for three cars, apartment over the garage 130 m2 - open plan with kitchen and bathroom. This is an advertisement maintained by Private Owner Reference:For Sale by Private Owner.The advertiser is wholly responsible for the accuracy of the ad information published on Globespanproperty.com and we make no representation as to the accuracy or currency of the information contained within this website. The photos and details content is the sole responsibility of the owner or agent of the property displayed. Aroniowa Street Poland Real Estate Agents. A dedicated website for Poznan Property Poland. Aroniowa Street Real Estate Agents Directory. FSBO For Sale By Owners Direct. Private Owners Selling Privately. Home Sellers. For sale by owner listings specialising in private house sales overseas. 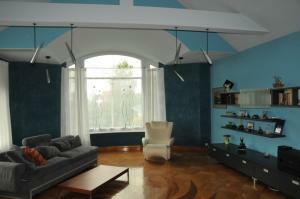 Properties Poznan Apartment.